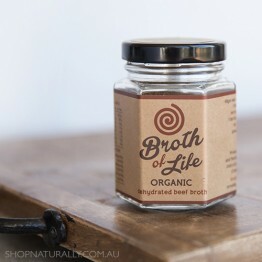 Bone broths are slow cooked and concentrated broths made with the bones (not the meat) for a full nose to tail philosophy. 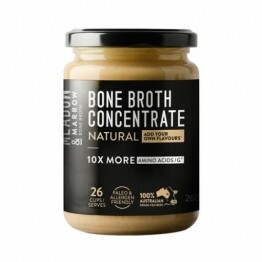 They provide gut healing nourishment rich in gelatin, collagen, vitamins and minerals. 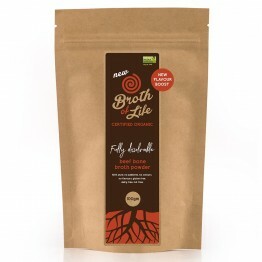 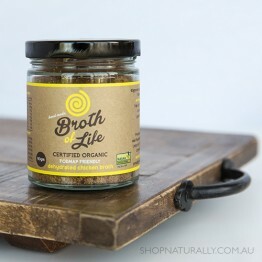 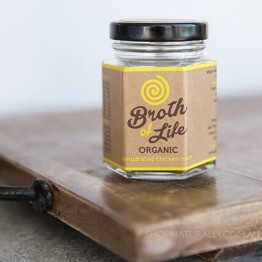 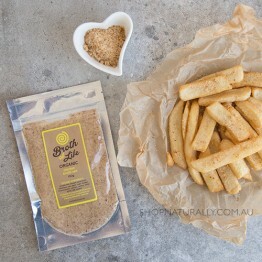 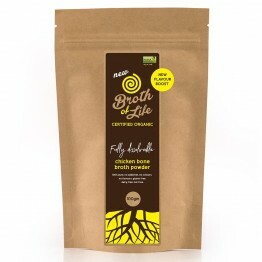 Broth Of Life was Australia's first dehydrated powered broth. 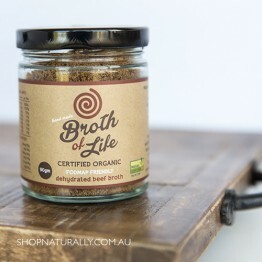 It is shelf stable, even after opening, and is the perfect choice not only at home, but for travelling. 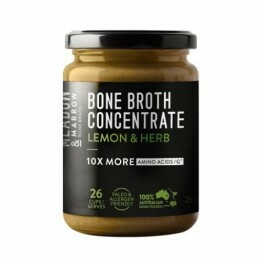 We also stock the concentrate paste from Meadow & Marrow which require refrigeration once opened. 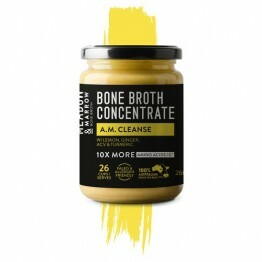 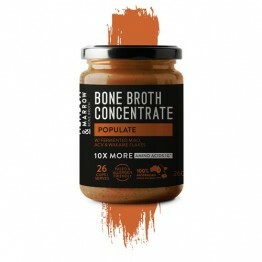 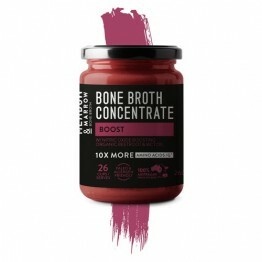 For those who need something a little more specialised, both brands have a FODMAP Friendly Bone Broth which leave out the onion, garlic and celery. 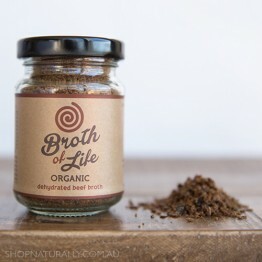 The Meadow & Marrow version is completely stripped bare. 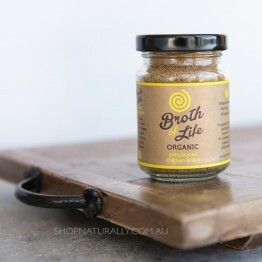 We also have vegan options with nutrient dense stocks and broths packed with healing and nurturing ingredients for the gut.